Boreal: Boreal Forest and Coast Mountains. Atlin Lake. Boreal Forest and Coast Mountains. 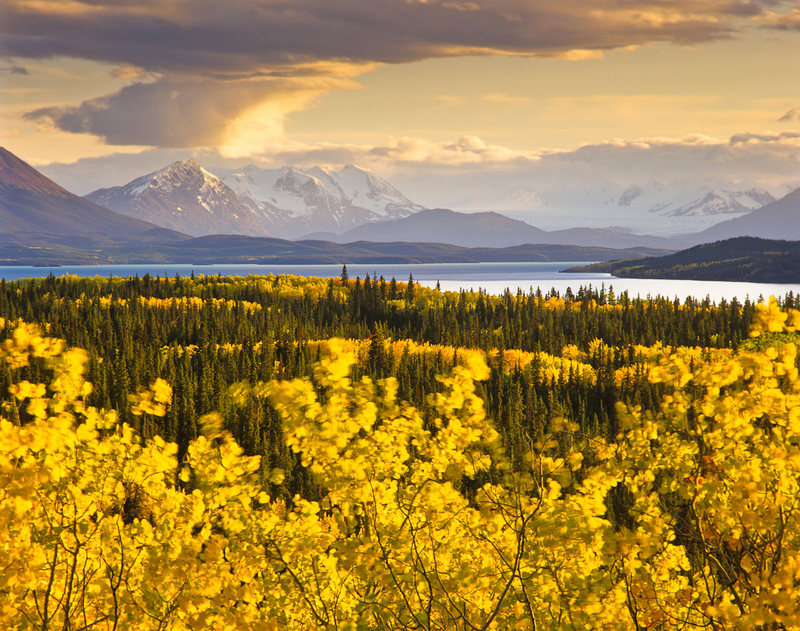 Atlin Lake. This area, located in the extreme northwest of British Columbia, marks the western boundary of the boreal region. On the border of the Yukon and Southeast Alaska, the western flank of these mountains descends into Alaska's Tongass Rainforest and British Columbia's Great Bear Rainforest. Far from the Tar Sands, the greatest remaining coastal temperate and marine ecosystem is threatened by the proposal to build a 750 mile pipeline to pump 550,000 barrels a day of tar sands crude to the coast. Once there, it would be shipped to Asia through difficult to navigate waters where a relatively small B.C. Ferry ran aground and sunk in 2006. Exhibition print: 40"x50" archival pigment print on Hahnemuhle bamboo, bonded to aluminum.